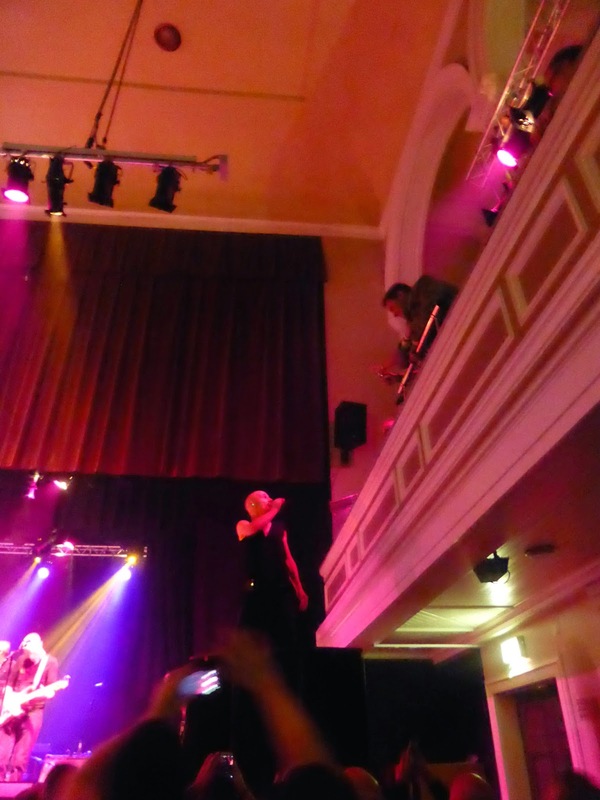 James warmed up for their two-week UK tour with an intimate 600 capacity show at Stirling Albert Halls with a set mixing classic hits, tracks from their new album La Petite Mort and a number of older tracks resurrected from their vast back catalogue. These types of James gigs are always a bit of a curate's egg. The start of a tour is when they try out all the songs they've been working on in rehearsals, some of which end up in the set throughout the tour, some never to be heard again, but you're always guaranteed to hear songs you never thought you'd hear again, or in some cases, you're actually hearing them live for the first time as they were never played at time of release. Tonight's set follows that trend. There's something for everyone in the set, even though that means there isn't the traditional build through the set you expect from a James gig, the more fragmented nature of the setlist doesn't detract from the experience. As the music drops and five of them sing the refrain to Millionaires-era b-side All Good Boys, you know this is something that most bands would never dream of doing. Greenpeace, from 1997's Whiplash, is also brought back to life and even some issues with Tim's second microphone can't spoil the impact of a song that's always been downright weird, stop-start, up-down, but which with a more comprehensive light set-up in an arena will be a show-stopper. Millionaires closer Vervaceous is also resurrected, complete with distortion on Tim's voice and it swoops and soars. Whether pairing these two together mid-set in bigger venues than this work remains to be seen, but it doesn't particularly dampen the celebratory atmosphere tonight. It's not just about revisiting rarities of course though. In La Petite Mort, James have produced one of the strongest bodies of work to date and tonight they play seven songs from it, proving beyond doubt that the songs are fit to stand alongside anything they've ever done previously. With Frozen Britain and Bitter Virtue not being played tonight but having been fairly regular in the sets over the summer, we could be pretty close to hearing the whole album across this tour. Gone Baby Gone gets played for the first time ever live and works brilliantly, it's a fun song and the version we hear is playful with multiple vocalists and piercing shrieks of trumpet. What's also noticeable against previous post-reformation tracks is the amount of people who know every word of the "focus tracks" Moving On, Curse Curse and All I'm Saying, testament to the fact that James are finally getting some breaks from radio. Walk Like You is the highlight of them all though, a song that allows them to let go, improvise and take the song down different roads to the recorded version in ways only James can. There is also a smattering of the bigger hits, opening with Say Something and Seven, Laid being pulled early into the set, but no less rapturously received and a welcome return of Just Like Fred Astaire into the set which sees Tim mounting the speaker stack considering whether to climb up onto the balcony. Come Home has the whole place dancing and singing, twenty five years on from it having the same effect at the university up the road. The encore has a sadly curtailed version of Interrogation due to over-running and they finish with a wild Born Of Frustration. The sound mix was intriguing too. Andy's trumpet is turned up in the mix and his involvement in the songs feels much greater, particularly in the new songs and more obviously in Greenpeace and Vervaceous where he adds to songs that he didn't appear on the recorded versions. Vocals are also augmented on large parts of the set by Ron Yeadon, adding more lift to the choruses of songs like Curse Curse. One minor quibble is that the venue's sound system couldn't handle the volume and variety of sound at parts so there was a bit of distortion and buzzing ears at the end of the night. 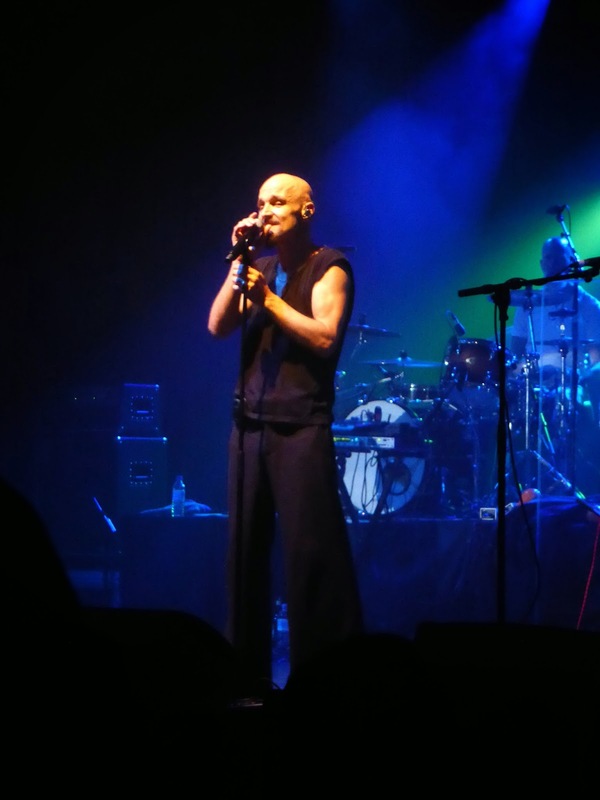 These warm-up gigs are always a unique experience, a pointer as to what you might expect on the tour, the band rehearsing publicly, yet still they manage to create a celebratory atmosphere that has the audience wanting more and eagerly anticipating the bigger shows on the tour. James played Say Something, Seven, Walk Like You, All I'm Saying, All Good Boys, Quicken The Dead, Curse Curse, Laid, Greenpeace, Vervaceous, PS, Just Like Fred Astaire, Gone Baby Gone, Getting Away With It (All Messed Up), Moving On, Come Home, Interrogation and Born Of Frustration. Thanks, enjoyed reading your review.